ehabitation is a complete home automation system designed to make running your home easier, more secure and more energy efficient than ever before. It gives you the ability to control your lights, heater, windows, doors, and home appliances – at the touch of a button. Operated by your iPhone, iPad through the internet from home or anywhere in the world, ehabitation is affordable and flexible. Z-Wave technology is an efficient, wireless communication technology designed for easy control of appliances and lighting. Fast and reliable, Z-Wave creates a wireless “mesh network” around the home that can control lights, appliances and lots of electronic items within your home. What is a Vera MiOS Gateway? The Vera MiOS Gateway is the brains of your ehabitation system. It is responsible for sending and receiving all of the command signals to the modules around your home. All the ehabitation modules working on the Z-Wave technology act as both a receiver and transmitter. This means all modules can receive and send communications from the gateway until it reaches the correct modules. For example – if you have a very long house and the Vera MiOS Gateway is at one end, it may communicate via five different modules before turning on a light at the other end of the house. All of the modules in the middle of the home help send and receive the message until it reaches the module that you are wishing to control. As a result, the system may be installed in very large premises. If each module is within 15 metres of another module, your system will work seamlessly. The more ehabitaion modules you have installed the better your ehabitation system will communicate. Will Z-Wave technology interfere with my other wireless electronics? No. The system works on a 921.42 MHz frequency unique to the Australian Z-Wave network. How does the ehabitation system work? The ehabitation Vera MiOS gateway wirelessly communicates to all your modules around the home. Here is a simple 3-step explanation of how it works. 1. From your control device (iPhone or iPad) you may choose to turn the light on in the lounge room. A signal is sent, from either your iPhone or iPad via an internet connection (outside of the home) or via Wi-Fi (inside the home) to your Vera MiOS Gateway. 2. The Vera MiOS Gateway then sends out a signal to all the modules around the home. The correct module will then reply with a signal that tells the Vera MiOS Gateway that the action has been completed. 3. The Vera MiOS Gateway will then send a signal to your iPhone to tell you that the command has been completed. So now the ability to see exactly what is on or off and how much power you are using is all in the palm of your hand. Not a problem, having an internet connection is optional. Just connect your PC, Mac or other web browser into one of the Vera MiOS Gateway network ports, or connect to the Vera MiOS Gateway wirelessly. The Vera MiOS Gateways built-in wireless comes pre-configured, so if you have a wireless / Wi-Fi device, you'll automatically see the 'Vera' network and can connect to it. You can still set up and use Vera, even without an internet connection. However if you don't have an internet connection, you won't be able to access your Vera MiOS Gateway remotely from outside the home. Does the Vera MiOS Gateway have a built in Wi-Fi access point? I have heard those things are complicated to setup? Yes, your Vera MiOS Gateway has a built-in access point, but it comes completely pre-configured, there's nothing to setup. Just plug the Vera MiOS Gateway in. You will then see the 'Vera' network show up on your laptop or other Wi-Fi enabled device. Click the 'Vera' network and you'll be asked for a password. Your unique password is printed on the bottom of your Vera MiOS Gateway and in the 'Getting Started' guide. Each Vera has a different password, so it's secure, and you don't have to worry about your neighbour connecting to your system. Also, Vera's wireless is pre-configured to use the highest-security for wireless networks, WPA2. What if my neighbour also has an ehabitation system, will they be able to control my lighting, appliances or access the security system? No. You will be creating your own network and your iPhone, iPad or control device will only communicate with your Vera MiOS Gateway. Your unique Vera MiOS Gateway will only communicate with the modules that have been paired with it. Is ehabitation able to be installed in an older home or do I need to own a new home? No. Ehabitation may be installed easily in both a new or older home. Ehabitation is wireless so there is no need to have it installed behind walls, or electricians spending days in your home disrupting your routine. The In Wall Switch is very small, measuring just 5cm x 5cm x 2cm. This may be installed behind your current wall switch or in some homes there may not be a cavity so it can be installed behind the light in the ceiling. Each control is capable of controlling up to 2300 watts. An ehabitation scene is a series of controlled events that work in unison for a desired task, home ambience or security. For example, a scene for 'arriving home' could involve you having a Door/Window Sensor connected to your garage door. Once you have opened the garage door the sensor could activate the turning on of your hall, kitchen and garden lights and also the switching on of certain appliances that you are going to use in your home. What if I have a Smart Meter installed? A Smart Meter will not affect the ehabitation system. What appliances can be connected to ehabitation? Are sound systems and TV / DVD recorders etc compatible? Ehabitation may be used for wireless ON/OFF control of plugged-in electrical appliances, such as table and floor lamps, televisions, DVDs, blu-ray and coffee makers. As a rule, any appliance that when turned off at the power source and then returns back to its original setting and not the standby function when switched on again may be operated by your ehabitation system. Will ehabitation work with lights on a dimmer? The dimmable versions of the In Wall and Plug In Switches are currently in development. How will it assist in saving energy? Ehabitation can assist in reducing your energy consumption because you can program it to turn your lights on and off only when you need them. It is compliant with virtually any kind of home lighting, incandescent, halogen, fluorescents, even the new LED downlights and globes. To add ehabitation to your existing lighting is a breeze; simply plug an ehabitation Plug In Switch to a power point, your floor lamp, table lamp or even an exterior 12-volt lighting system may be then paired to your Vera MiOS Gateway. All the ehabitation modules have energy monitoring features that will tell you the exact power consumption of the load it is controlling. If you know how much it is costing you then you will be more inclined to turn it off when not needed or change the light source to a more energy efficient style. You can easily create your own home scenes, so selected appliances and systems are turned off by the push of one single button when you leave your home. How do buildings or apartments with cement walls and ceilings affect Z-wave transmission? As the system is communicated on a radio frequency 921.42 MHz, the information can travel through almost anything – including concrete walls. The signal can weaken but if you keep within the recommended 15 metres between modules you will be ok.
Will Z-wave technology affect my health? As more and more devices are added to our globally connected network, more and more radio waves are swirling about in the air around us. Understandably, this has prompted questions from both the public and the media about whether wireless technology poses a health risk to humans. The discussion normally begins with cellular phones, but consumers may be left wondering about other wireless products as well. Even if you remain unconvinced by all the reputable studies that conclude cellular phones are completely harmless, there is no scientific reason to group together all wireless devices into the same category. Technologies like ehabitation and Z-wave show extraordinary potential, making everyday life more comfortable and energy efficient. The signal which is sent from the Vera MiOS Gateway is no different to the signal which is already in your home when you listen to AM/FM radio. Will ehabitation work in a detached building such a garage, stable, work shop, etc? Yes. Ehabitation will work in another building as long as you have a signal at the other building. It is suggested that your Vera MiOS Gateway is located in a central area within your home and then each module needs to be a maximum of 15 metres away from one another. Each module acts as a booster for the next one and the signal continues to get stronger. Do I have to have an iPhone or iPad? Yes. At this stage, the system is only functional through the iPad, iPhone and iPod Touch. The iPod Touch is the most inexpensive entry-level device. Is it possible to connect to more than one iPhone? Yes. The Beacon Home Automation App can be downloaded to many Apple products and all these devices are able to communicate with the Vera MiOS Gateway. Can I link it to my existing security system? No. The ehabitation security system can only identify IP cameras. Security systems are not part of the ehabitation system at this stage. Ehabitation is a low cost and simple to install system. Costs range from product to product, but as an indication, a system with a Vera MiOS gateway and 10 modules could be estimated around $1500, with installation costing approximately $900. What is the minimum/maximum system I can run? The system has no limits on size. No. The ehabitation system can be installed and configured using our ehabitation manual, or the online wizards and help manuals. You must however use a licensed electrician to install all hard-wired devices. Do I need an electrician to install the system? Only for units that you cannot plug into a power point. The system and some components are DIY. Can I update the system later by DIY or do I need an electrician? The ehabitation system maybe extended at any time. Some components are DIY therefore there is no need to have an electrician revisit. If you desire to add extra hard-wired modules an electrician will be required again. Can I link it to all heating/cooling systems? Heating and cooling systems primarily function with just a switch. As long as your unit will turn on via the switch, to a predetermined Heat/Cool setting, then the system will operate. What happens if there is a power failure/surge? The system will simply reboot itself and work as normal as soon as the system comes back up. All appliances will return to the ON/OFF function that they were in prior to the power interruption. Do I need to be with a specific telephone provider? No. Any of the networks will work, as long as you have your data account active. Which electricians can install this system? Any electrician can install the system. Is there a delay if I am controlling the system from overseas in different time zones etc? No. The system is instant. Times will only vary on the speed of the internet connection. Yes, the system uses a unique IP address allocated to the Vera MiOS Gateway that is only accessed through your micasaverdi account. A secure server has been set up to act as the intermediary. The Vera MiOS Gateway in your home connects to this server using a secure connection. Your user name and password are protected and nobody can access your system or control your home without the password. Why is this a better system than C-BUS? For the most part, the C-BUS system is a complete hard-wired system, which requires an extensive amount of time in labour and extra material costs. Upgrading and adding to the ehabitation system is easy. In most cases, unless hard wired, the homeowner is able to extend their ehabitaion system themselves saving on electrician costs. This cannot be done with a C-BUS system. No problem, ehabitation has a unique function in that it is still controllable via the manual control on either the wall light switch or the button on the side of the device. You will receive conformation that the desired action has been successful via your control device (iPhone, iPad, etc.) Once you have sent the signal to turn off your lights, your switch will turn amber. This means that the message has been sent. Once the action has been completed the amber ‘on’ will change to ‘off’. Yes. You can create a scene so that at the touch of a button multiple modules may be turned on/off – e.g. the ‘welcome home scene’ may be to turn the garden lights on at the entrance to the drive way and the path and also turn the hallway and kitchen light on. What support systems are in place, weekends, public holidays, after business hours? 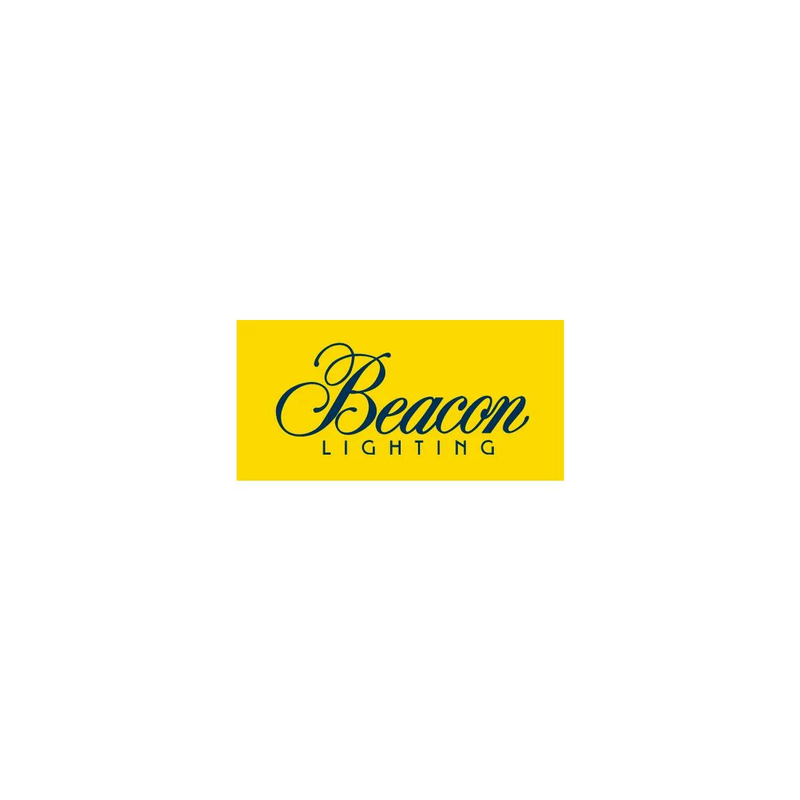 Further assistance may be sought by visiting the 'ehabitation Contact Us' page of the Beacon Lighting website, here you may submit an email or chat with our sales team (during office hours Australian EST). Do I need any particular software Windows, Mac? Both the Windows and Mac operating system will operate the software. Some older versions of Internet Explorer may not work. Google Chrome and Fire Fox work well and can be easily downloaded if they are not available on your computer. Can ehabitation control automatic gates, swimming pool heaters/cleaners, home theatre? Ehabitation has the capacity to control devices up to 2300 watts for on/off purposes. Special wiring instructions can be arranged for installations that require loads in excess of 10amps.